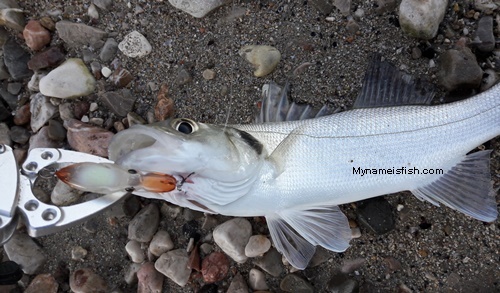 How do I catch big seabass with Magbite Mimiq Lure. Here I am going to show you the sensational result of this interesting thingy. Bad weather, choppy water, waves are slapping the beach.. 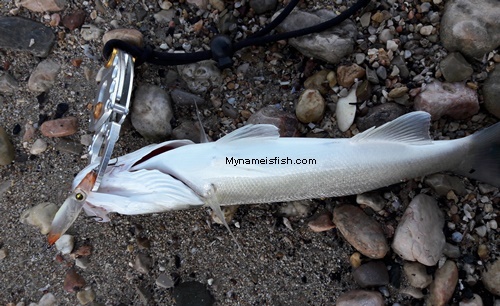 Perfect time for catching sea bass from the beach! The weather is bad but sea temperature is still warm. There are lots of little fishes around, trying to avoid the chaos at the shore as they know very well that predators are on duty! 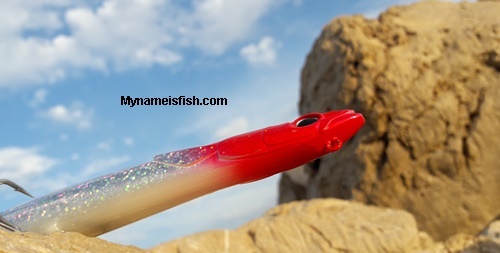 I grabbed my favorite little pencil lure for such weather and sea conditions; MIMIQ, a squid-like sinking pencil lure by made MAGBITE. 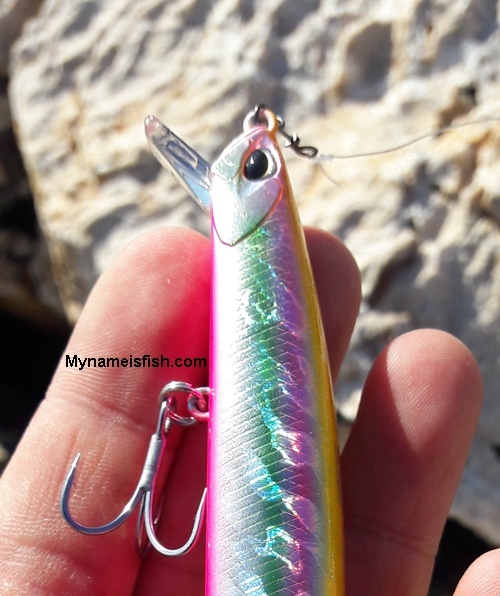 This very effectively exciting lure is described as "Squid-like silhouette and unweighted solid body produce impressive lifelikeness and natural appeal in the water. Slow-sinking design provides great handling even for the squid hunter aiming for surface waters. Or, let it sink down and work its magic on the target" by it's Japanese makers. Topwater fanatics embraced this DUO's new Hydra as the new surface phenom. It's a big lure. 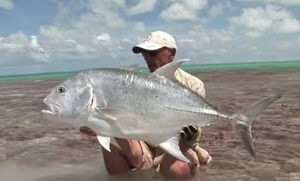 A very, very big lure for big catches. obviously. As soon as you open the box you will feel that DUO Hydra is absolutely magical. Shape, weight, look all perfectly attractive. Then you will adore it even more once you start casting. 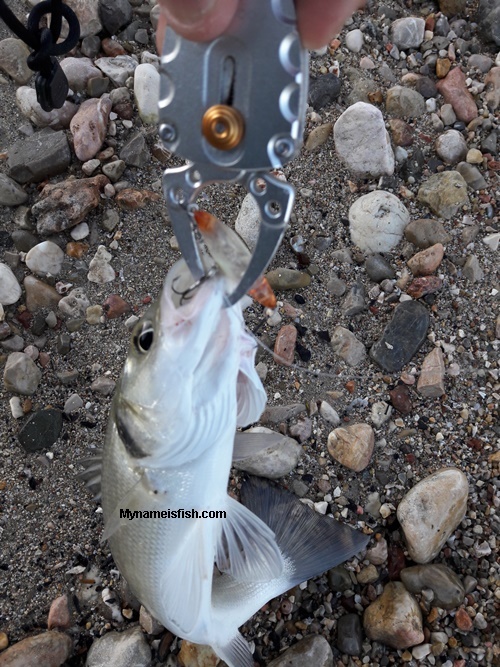 Amazing casting distance, easy control both in the air and on the surface. You will learn to use it quickly. 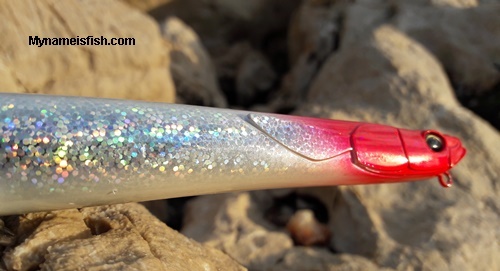 It's not a lure for professional topwater fishing only. I used Hydra Red Head for my first caught. It is a 2.5 kg Skipjack Tuna, from the shore. Here my Astro Red Head Hydra. It looks beautiful and wild, doesn't it? 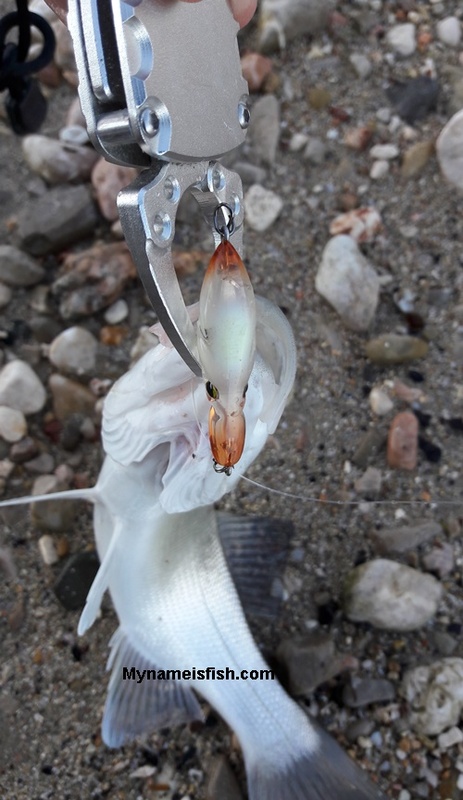 DUO says " Hydra will mesmerize array of species with its dynamic skipping action staying on the surface imitating perfectly the movement of needlefish and garfish.. it is a long type sinking pencil to target the pelagic species from land-based or off-shore fishing"